SportsMan’s Log is a boon for those who wish to maintain a concise record of data relating to outdoor adventures. 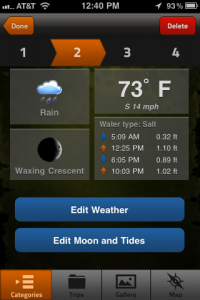 The SportsMan Log enables outdoorsmen to do the following: Record weather condition when hunting, track moon phases as related to the ability to catch fish, hunters may track success with the use of specific weapons and types of ammunition. 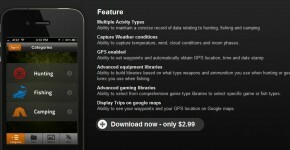 Ability to select from comprehenisve game type libraries to select specific game or fish types.